What started as a hobby for Lynn and Bam has become a cherished treasure here in the Capital Region and beyond. Today, more than 600 flavors reside in the Cheesecake Machismo recipe box, and each day a new combination of flavor selections are offered by the cake house. 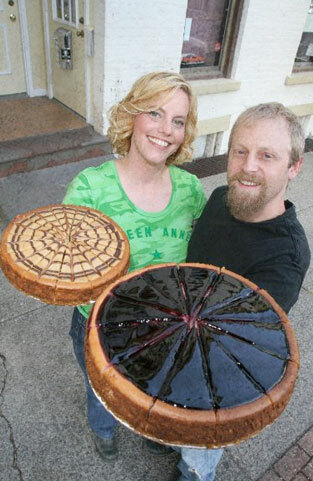 In addition to baking the finest cheesecakes, Lynn and Bam are lovers of punk, art and simple living. Buy local!